Without an operational swimming pool pump, swimming pools can very quickly turn into an embarrassing and potentially dangerous shade of yellow or green. 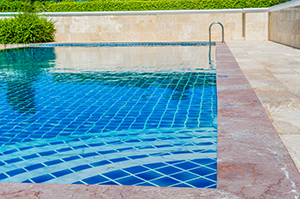 Swimming pool pumps are key to maintaining your pool as they control the pool’s circulation system, in turn, controlling the cleaning and filtration. The pump ensures the even distribution of heat and chemicals in the pool. Without an operational pump, the water will get stagnant. The pump circulates the water and pushes it through the filter, (and the heater in heated swimming pools) before returning it to the pool. Tadpoles, frogs, bugs and mosquitoes can appear quickly in neglected pools. It is therefore vital to ensure the pump is firstly reliable, and secondly, if it fails, it is replaced pronto! Luckily our swimming pool pumps come with next day delivery, so if you are looking for a replacement pool pump, you can have your pool back to normal in no time. We appreciate that it is a pain when pool pumps break, which is why we have selected, and supply two of the best series of swimming pool pumps available. An electric motor which spins at high velocity. For ease of use, and installation, our range of swimming pool pumps, use motors which run from a standard 230v mains supply. The motor spins an impeller, which creates a change in pressure which draws water through the pump. An impeller, which is normally connected to the end shaft of the electric motor. The impeller is housed between the pump filter basket and the motor. Its primary purpose is to move water from the pool, through the pump and filter and then back to the pool. The pump basket. This is a critical part of the system which collects debris from the pool and prevents it from going into the pump, which could put a strain on the motor and cause it to burn out prematurely. Across the world, one of the biggest problems in warmer climates is palm tree leaves – fortunately in the U.K this is less of a problem, and not an issue in indoor pools. Both our ranges, the SMP and SWIMM pool pumps have filter baskets which are removable, and inspection covers to allow easy inspection. The SMP by APP Pumps, the SWIMM by Speroni and the iFlo by Plastica are all fantastic swimming pool pumps. These manufacturers are incredibly well respected and supply pumps for both domestic and commercial use around the world. The main difference between the series, is the maximum temperatures of water the pumps can cope with, the SWIMM and iFlo are rated to 35 °C whereas the SMP is rated to 60 °C. Both series are suited to pumping chlorinated water for swimming pools, both domestic and commercial. They are designed for continuous 24-hour running and can also double up as pond pumps. Ponds also require circulation to prevent them from going stagnant. The pumps can pump water which contains non-abrasive, small solids in suspension. The SMP range can also cope with sea water, so this pump is recommended for salt water pools, or ponds. 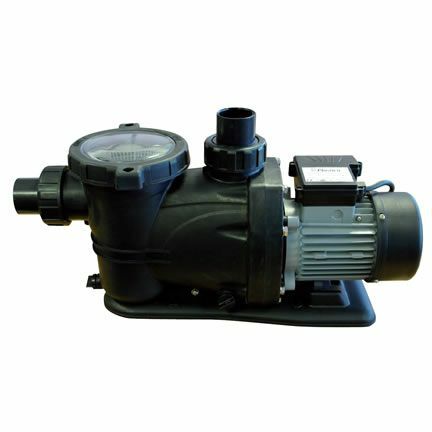 Our swimming pool pumps are incredibly high quality and feature quiet running motors. Lesser pumps may prove audible in operation and disturb a peaceful pond or swimming pool. 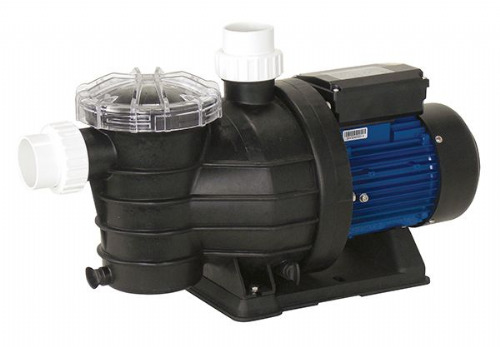 Our swimming pool pumps all include a 2-year warranty and are available with next day delivery. The pumps are built with reliability at the forefront of the design, with thermoplastic impellers and stainless-steel shafts. It is important that the flow rate of the pump is correctly matched to the quantity of water in the pool to ensure the water is circulated effectively. Swimming pool experts rule of thumb is to circulate all the water within an 8-hour period. Normally you may consider replacing a pump like for like, however if it has failed prematurely it may have been the incorrect pump for the system, so we recommend following our 5 Easy Steps on How to Choose the Best Swimming Pool Pump. As always if you require any further information please do not hesitate to Contact Us.